So sweet and girly, love the backround roses. Awww... I love the softness of this card! To see your set being featured by all of those talented designers must be a real treat! I like how you stamped the rosebuds on the bottom of the card and featured the single rose! Gorgeous Shirley! Love your stamp and your card shows it off beautifully!! Wow, great inspiration piece. I wondered where that vase design came from -- thanks for showing us. Love your card, too. so gentle and sophisticated. I can see this as a wedding card too. brilliant. Oh I do so want to get my inky crossed-fingers on your gorgeous rosebuds!! So elegant and sophisticated. Love it. Love your water coloring on the roses. So fabulous the surrounding roses!! 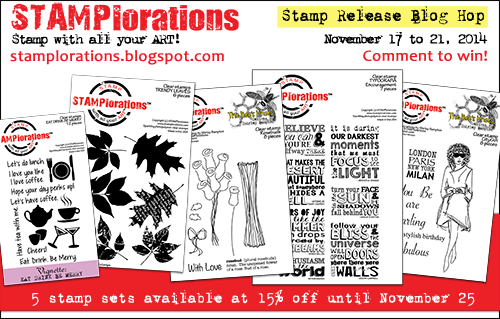 An awesome stamp set like what you have created is guaranteed to produce awesome results! Love the simple elegance of the single rose! I love all the soft roses in the background with the single cut out rosebud as the main feature! What a beautiful card! That is a beautiful inspiration for your stamp. I like the softness in your card, gorgeous colors. Thanks for sharing your inspiration! Its just one fabulous stamp set! Lovely card, Shirley! Your card is so soft and beautiful! Love how you use watercolor! And your stamp set is awesome! Way to go!!! So romantic and feminine! I have enjoyed seeing all of the different creations by the DT using your beautiful stamps, Shirley. Love the inspiration behind this set! Fabulous card! This is as always a stunning and very pretty creation in soft and subtle colors Shirley. The inspiration you provide is never ending! Your design team is absolutely mind blowing with their innovative themes! I love the soft pinks on ur card :) so very pretty! I am sure u are so proud of urself to see all these beauties being created by your stamps ! Beautiful card! It was fun to learn what inspired you to create this set! I like your style! Fabulous card and FABULOUS stamps Shirley! A verry fine card, you made!!! Such a pretty card - love the soft pink you used. Love those soft background roses (gorgeous) and the way they frame the single stem. And yes, there is pink. Very feminine, very romantic, very "rose". Great creation and I like where you got the inspiration from. I appreciate your work very much and your DT is doing an amazing (not that is needed) job too. SO pretty with all of the soft roses in the background.